Facials are something I know well as a qualified Beauty Therapist. Having studied full time 9 – 5, 7 days a week for a year, doing facials daily was all in a day’s learning and perfecting my craft. There is nothing like being pampered for an hour or so with a luxurious mix of products, manipulation and ambiance to relax body and mind while leaving our skin rejuvenated and healthy looking. Facials are a treatment we deserve to reward ourselves with weekly or monthly and a great idea for couples for date night or a fun activity to enjoy with your teenage daughter, a close relative or group of friends for a fun spa night. For those who decide to give themselves a treat of a facial at the local spa or even do an overnight treat for a get away from it all break, you will know how relaxed and refreshed you feel. Your skin will have been given the royal treatment by a therapist or team of therapists and be glowing with health and vitality. The downside if there is one is the cost. With so many facial options currently available cost will vary considerably as will the length of time it takes. On average a facial should take an hour to an hour and a half for a good basic one. Homemade alternatives are so doable and just as beneficial, seriously! What I love is being able to utilize my professional training and combine it with healthy, quality ingredients from plants, fruits, herbs or even the kitchen cupboard that have fewer chemicals and are cost effective. Looking for beauty solutions easily made, what could be better for our health, our skin or our pocket? A good therapist will always start with a skin analysis (unless you are an existing client) and consultation on your visit. This is incredibly important for both client and therapist. Normally many salon facials include electrical equipment which can be a problem for many reasons. For an example, Epilepsy is contra-indicated to many treatments with electrical current use as it may have an effect on seizures. For a homemade facial you can adopt the same thought process when planning for you, your partner, a friend or for a group spa night. What Does a Facial Consist of? Here is my suggested facial which includes the most important elements to a facial, easily done at home using gorgeous skin loving ingredients to help achieve that healthy, soft and supple skin that will look and feel a million dollars! Before starting make sure the skin is lightly cleansed and all makeup removed. 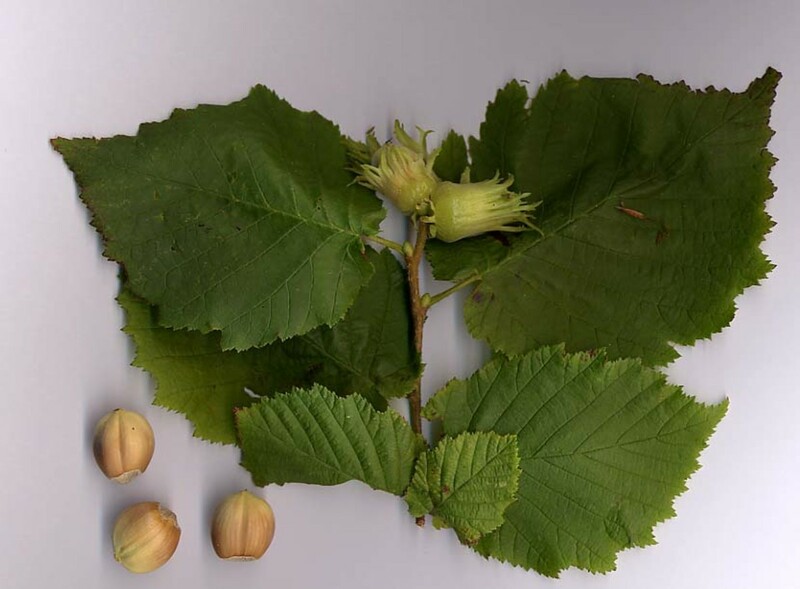 For a quick trick use jojoba oil, hazelnut oil or olive oil to remove any makeup. Skin exfoliation is a vital part to any facial treatment be it in a beauty salon or at home in your regular skin care routine. It is the removal of dead skin cells from the outermost layer of the skin, the epidermis. The reason so much importance is placed on exfoliation is it improves the skin texture and color. It unplugs blockages in the pores, encourages cellular regeneration and increases the absorption of creams into the skin. This soothing and gentle recipe is great to make up in advance and have stored in a glass jar. Makes an ideal gift idea too for anyone to receive and use easily. Grind the oats, almonds and rose petals together in a coffee grinder to a fine powder. Pour the mixture through a fine sieve or mesh into a bowl to remove any large pieces which would be too abrasive to use. Add the clay and combine together by mixing well. Pour into a glass jar and apply a tight fitting lid. Mix 2-3 tsp of face scrub with milk, cream, rosewater, lavender water, witch hazel, water or tea, to a smooth paste. Apply to the face and neck and massage in gently in small circular movements for 5 minutes. Remove with dampened cotton wool pads or rinse with tepid water. Pat the skin dry and follow with a light application of skin toner. Doing a regular facial steam at home does not have to cost you a single cent. Growing your own beneficial herbs means you have a ready supply of fresh ingredients that may be dried for using later. This treatment will always feature in the spas and salons. The majority will use electrical facial steamers. Steaming is a simple, effective treatment with benefits for all skin types and easily done at home without the need of a costly steamer. Steaming dislodges any dirt or grime in the pores, moisturizes, relaxes facial muscles, plumps out wrinkles, eliminates toxins and helps improve circulation. Many options are doable for steaming including herbs, essential oils, flower petals and teas. Use a combination of a few or keep to one ingredient, it is up to you! Sensitive, Dry or Mature Skins – good choices include lavender, chamomile, rose, lemon balm and calendula. Normal or Oily Skins – will benefit from rosemary, sage, peppermint, thyme, green tea or eucalyptus. Place 3-6 sprigs fresh herbs of choice or 2 tbsp dried herbs into a medium sized heat proof bowl. Pour boiling water over the herbs and cover with a towel or large lid to trap all the oils being released from the herbs. Allow to steep for 3-5 minutes. Move the bowl to a table you can comfortably sit at. Covering your head with a large towel, remove the cover on the bowel and lean over making sure you are trapping all that beneficial steam. Do this for 10 minutes maximum. Treat your skin to a strawberries and cream homemade facial mask and you will reap the benefits. Strawberries are powerful antioxidants and rich in Vitamin C which are essential for a healthy skin. Cherries are a small fruit with huge benefits not only to our health but when applied topically on the skin. Here are seven easy fresh cherry mask recipes using everyday edible ingredients to make. There are a great variety of different types of face masks and often in a salon more than one may be applied as part of a facial. Clay, thermal, astringent, peeling, wax, oil, gel and biological (fruit, plant, vegetable, herb or natural product based) masks are options when deciding on the appropriate type to use. Here are selections of biological masks for different skin types you can easily rustle up quickly. Normal skin – 1 ripe banana, 1 tablespoon honey and 1 beaten egg. Mash up the banana and add the honey and the beaten egg. Mix well and push through a sieve. Apply the mask to the face and the neck avoiding the eye area. Leave for 10-15 minutes and remove with tepid water or a piece of dampened cotton wool. Pat the skin dry. Apply your face toner to remove any last residue. Benefits: Moisturizes and softens the skin. Dry skin – 1 egg yolk and a few drops of almond oil. Mix together and apply to the face and neck area, avoiding the eye area. Leave for 10 minutes and remove with tepid water or dampened cotton wool. Pat the skin dry. Follow with your face toner. Benefits: Softens and refines the skin texture. 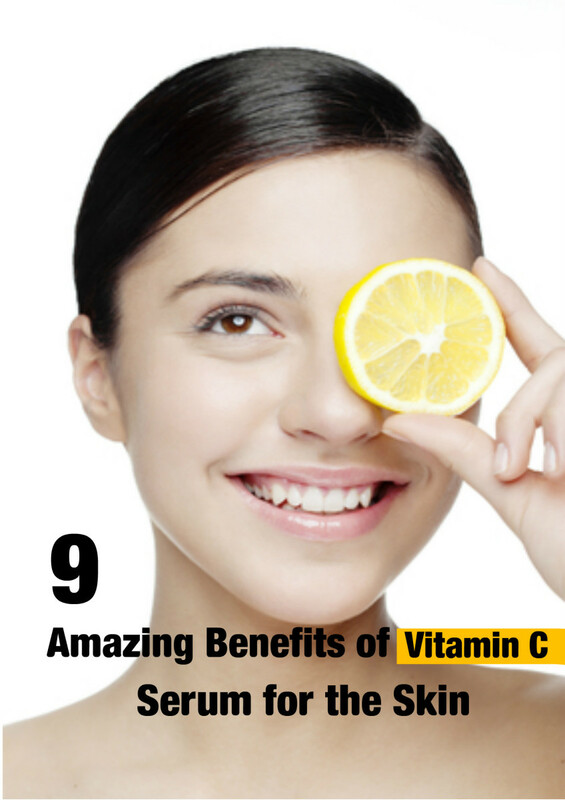 Oily skin – half a peeled cucumber and 2 teaspoons of orange or lemon juice. 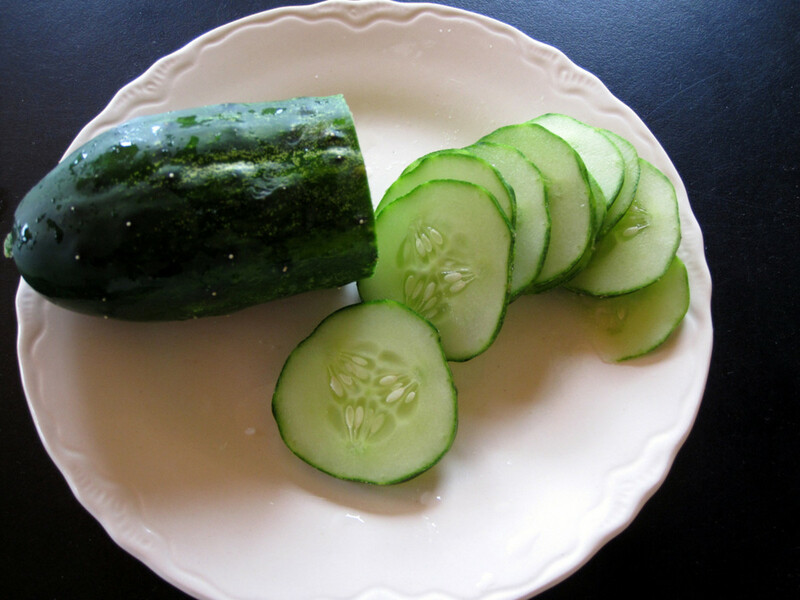 Mash up the cucumber and mix with the juice. Apply to the face and neck, avoiding the delicate eye area. Leave for 15 minutes and remove with tepid water or dampened cotton wool pads. Apply your facial tonic to remove any residue. Benefits: Refines, soothes and tones the skin. Face toners or tonics go hand in hand with cleansers and moisturizers history dictates to us. Here are 4 easily made recipes for creating your own homemade, inexpensive and beneficial face toners. Facial toners or tonics are designed to remove the last traces of a cleanser, restore the pH of the skin and add some moisture. Here is a recipe for a calming, hydrating and healing face toner that may be made ahead of time and stored in a fine spray bottle or container in the fridge for up to two weeks. Boil water and pour over oats and herbs in a bowl. Allow to steep until cool and strain the toner mixture into a 2 oz size bottle. Apply lid and store in the fridge in-between use. Apply twice daily and use as part of your facial treatment. Other alternatives are rosewater, lavender water and witch hazel. Floral Waters or hydrosols may be used as alternatives. The final part to any facial treatment is a fabulicious facial moisturizer and for me I have decided to highlight facial serum. 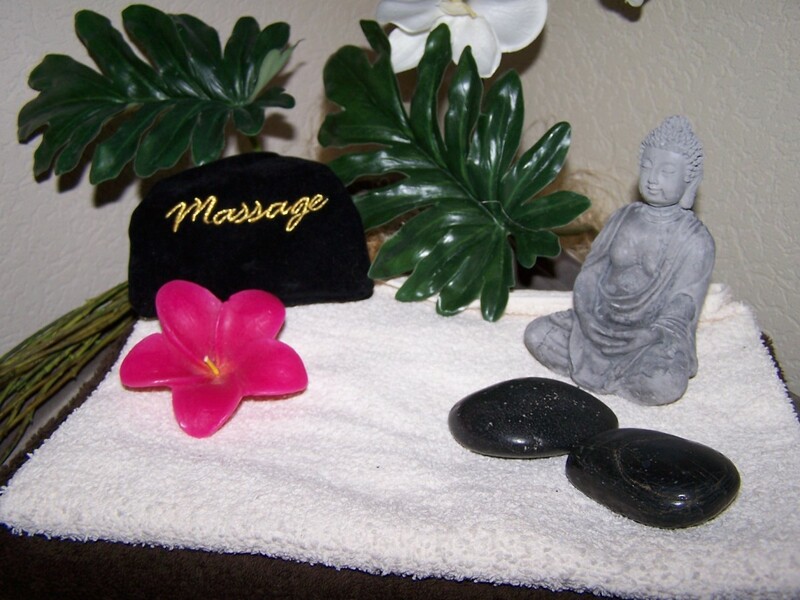 You can add extra benefits by applying with massage techniques for that luxurious feel to pampering with a capital P! A two in one product, this could be a facial serum or massage oil. This recipe is easily made and may be designed exclusively for your own needs or based on what you have on hand. Only 3 ingredients are needed. The formula is the same for all skin types; carrier oil, a bonus luxury oil and essential oil. Avocado Oil – good for dry and aging skin. 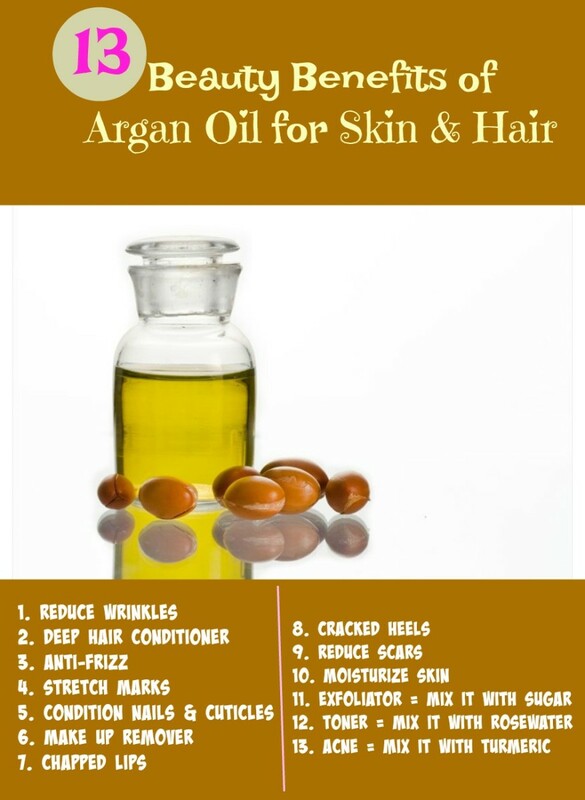 Argan Oil – good for dry, ageing, normal, oily or acne prone skin. Apricot kernel Oil – great for all skin types but particularly good for dry or ageing skin. Jojoba Oil – good for dry, ageing, normal, oily or acne prone skin. 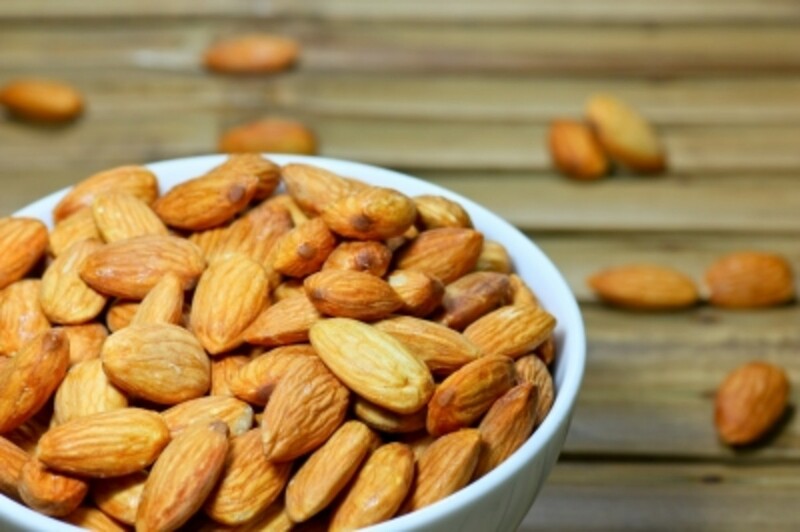 Sweet Almond Oil – all skin types, may take a little longer to absorb. 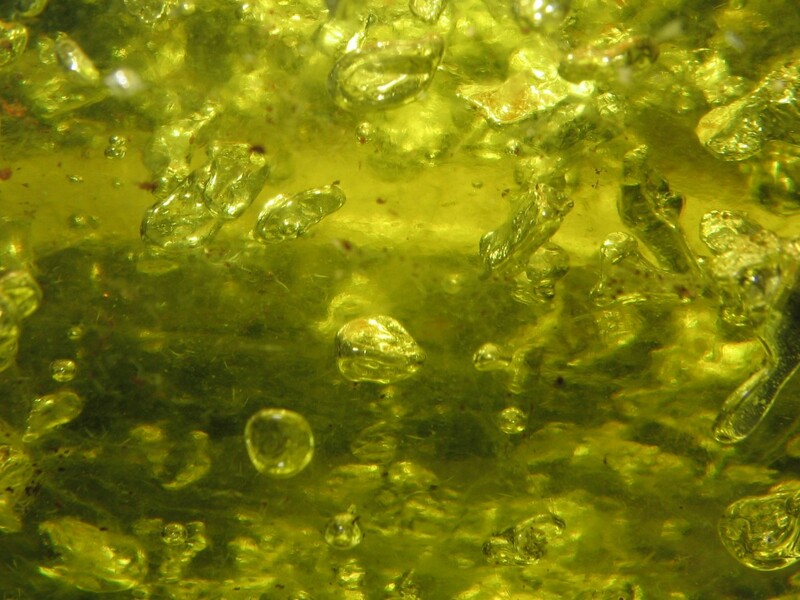 Hemp Seed Oil – all skin types and extremely light. Grapeseed Oil – great for normal, oily or acne prone skin. You may choose to omit this if you wish. These generally cost a bit more but with that comes added benefits to give the skin a major boost! Carrot Seed Oil – for all skin types it is a wonderful oil to include in serum recipes. Emu Oil – a powerhouse for nourishing and moisturizing dry and ageing skin. Evening Primrose Oil – beneficial for all skin types it may even be taken internally. Neem Oil – a great healing oil that is ideal for oily or acne prone skin. Sea Buckthorn Oil – another all rounder, particularly nourishing on dry or mature skin. Tamanu Oil – excellent oil for oily or acne skin. Healing on facial scarring too. The last ingredients to combine into this serum, essential oils are available in great numbers to choose from. This is a selection, if you have your own personal favourite then use it here. Add 4-6 drops of essential oil, less is more as these powerful, potent oils are volatile and need to be treated carefully and used wisely. Do not use more than 6 drops. 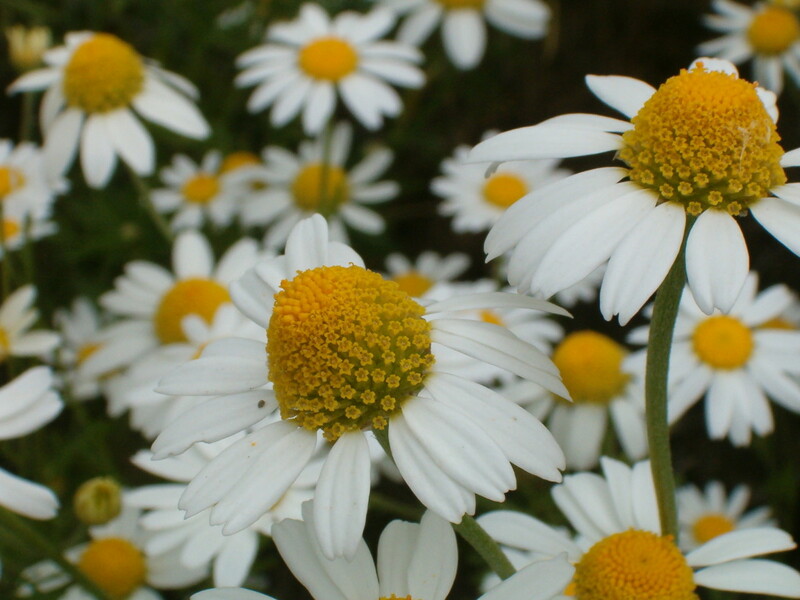 Chamomile – great for all skin types, it is soothing and healing. Lemongrass – great for oily and acne prone skin, it is brightening and toning. 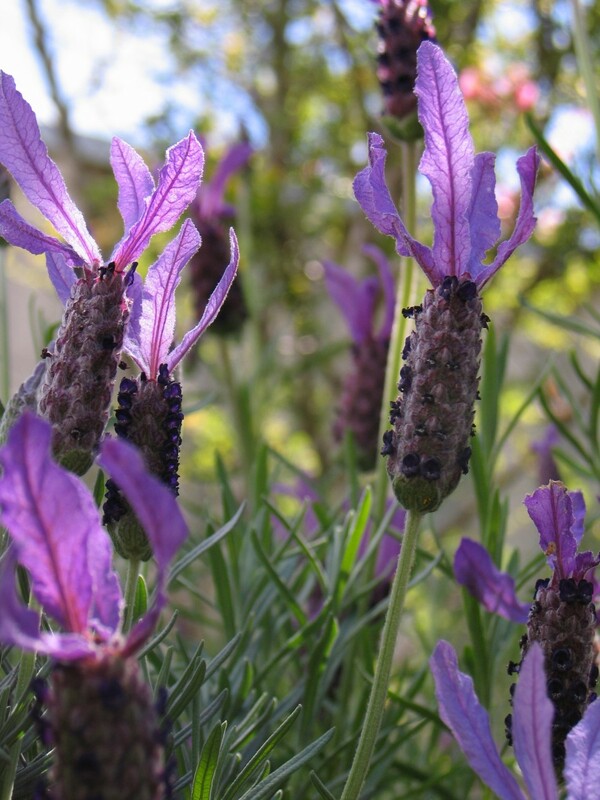 Lavender – great healing oil for all skin types, only 3 or 4 drops needed of this oil. Palma Rosa – suitable for all skin types, it is great for breakouts and yet is soothing and softening for dry mature skin. Rose Geranium – suitable for sensitive, dry, normal or mature skin. 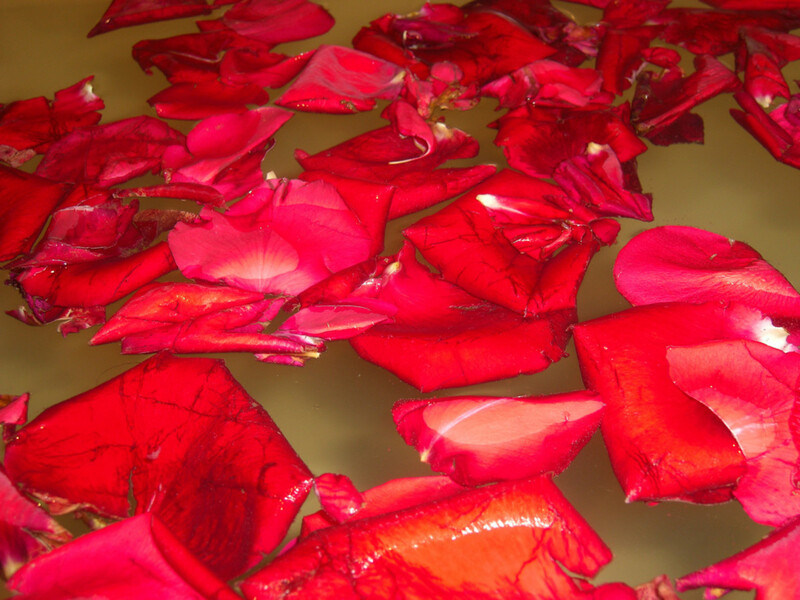 Rose – very popular for dry, mature and normal skin. Rosemary – excellent oil for oily or acne skin types, it is astringent and cleansing. By now you should be feeling a bit pampered with silky smooth skin that will be glowing with vitality. Enjoy this facial and then take it to the next level. What do I mean by that? H.O.W Humanity One World is what I mean. Calling all members of H.O.W....it is time to step up the efforts and I am calling on all of you to do your part. Humanity One World is a non-political movement that seeks to make this world a better place to live. Making a difference, one person at a time. All proceeds from the HOW Zazzle store go to help people in need. 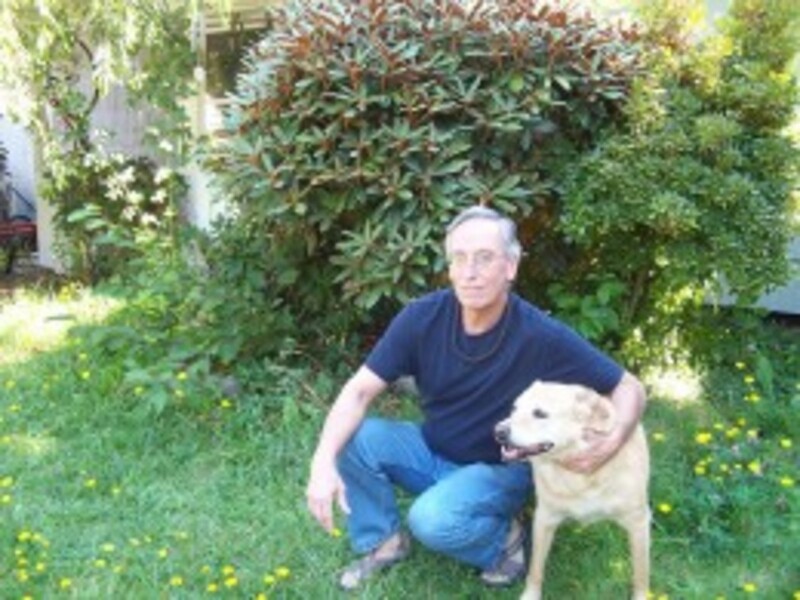 Humanity One World (H.O.W) was set up by Bill Holland an accomplished writer and someone I am proud to call a friend. My suggestion is this, make someone feel that little bit special by incorporating some homemade beauty into their lives. Why not volunteer to do mini facials at the local hospital or nursing home? Give a neighbour down on their luck a mini makeover; tell them you need a model. Why not commit to doing an hr a week at a women’s refuge centre and do a few simple skin care recipes for any ladies interested. Run classes if interest is shown. Are you involved with a charity? 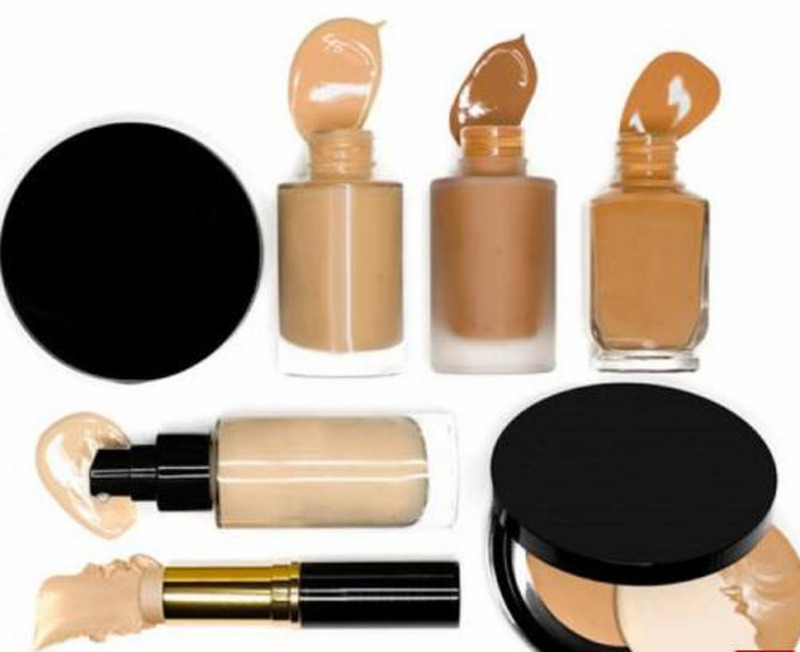 Why not combine some confidence boosting skin care or makeup with the charity. These are all ideas to get you started. I have run classes for some elderly ladies in a nursing home, done makeup for a close friend’s mum who had a stroke and done makeup classes at the local social welfare. My very first article I wrote was for Epilepsy Ireland and it told my own story of living with Epilepsy as a way of helping others through this and showing it does not have to have a negative impact on your life. These acts were all done free of charge and things I offered. We can all make a difference, no matter how small it may seem, IT MATTERS. Yes regularly at a spa or salon. Used to but cannot afford the luxury now. Yes love making my own treatments too! Yes but definitely keen to do one at home now, reap the benefits and save the cash! Thanks for comment, appreciate it. Thanks for your feedback as always. I try to come up with different ideas and a facial steam is one that is nearly always part of a facial in salons so thought it would be fun to do with all these wonderful ingredients already collected. Essential oils are such a must have to build on. Cheers for your votes and pin always greatly received my friend! Missed this..As always you have so much variety and so many ideas in your hubs. I love the fact that you discuss the benefits of different oils and products. I have tried many...Voting and pinning..as always. What a wonderful husband you have! You must love your trips to the spa for a relaxing pampering session, nothing like it! I do miss that, going for a facial, wax, body massage or manicure was a lovely way to indulge. The right therapist makes a world of difference without a doubt. A mother /daughter treat sounds brilliant and I reckon your daughter will love this knowing how much she loves the idea of making some products! Cheers for your thumbs up and sharing this on! Few things are as relaxing to me as a good facial. My husband spoils me by giving me a gift certificate to a local spa once a year or so. It's wonderful, especially if the professional is really good. As you mentioned, they definitely are pricey so I am going to try this. Thinking it might be fun with my daughter as a special mother/daughter treat. Shared all around. Awesome hub! Lovely to hear from you, thanks so much for your encouraging comments which help spur me on to more recipes. Glad you enjoy the variety and hope you treat yourself to a facial sometime! I would love to try a homemade facial sometime. It's great to have the control and customization that comes with a homemade recipe. Thanks for all of the wonderful resources as always! Well done on all you have done too for promoting natural ingredients and using therapeutic treatments such as massage, one of my favorites. An Indian head massage is so relaxing and ladies will love that, well done you, I am so thrilled to hear that you are planning on doing this treatment locally in the community. Thanks for your votes, share and pin, enjoy the rest of your week! Many thanks for your great support you have been such a regular and ardent follower! Lovely comment to receive Janet, I am so glad you are finding my ideas useful and it is a great feeling knowing your work is appreciated believe me. Appreciate you taking the time to comment, it is always so special to receive. Delighted you found this useful, I do love the way I have found how to utilize my background through these articles, writing what I love, have an interest in and have the passion for. Cheers Mary for the thumbs up in votes and sharing! Your support is so welcome, i mean that sincerely. Thank you for your lovely comment, I wanted to show how simple things can be applied for the good of others and you do not need to be an expert just have the interest and will to pass it on. Cheers for your votes and shares! Many thanks for your lovely comment! The herbs specified on the hub are all good for the different skin types but chamomile is great for sensitive skin and you could add a sprig of lavender in too or rose petals if you grow them. Essential oils in these 3 are good too if you have no fresh or dried versions. Thanks so much for your interest and I hope you find the facial steam beneficial! Another awesome hub of yours Suzie. I´m fond of having my own spa treatment at home. I have learned a lot from your knowledge of skin care and applying this to myself and to my clients in my home country. I have a small spa room there and I´m using my self made organic scrubs, mask and so on for the treatment I´m doing including massages. I applied some of the things I learned from you and from what I have learned in the spa where I have worked before in Ireland. I like it that you have included about what we can do to create awareness to H.O.W. I will be willing to give some relaxing head massages and facials to our senior women in the neighbourhood. Thanks for sharing. Voted up and pinned. Have a lovely week! Suzie, you have taken it to the next level. This is a great combination of your professional background as a beautician and natural and healthy homemade beauty products and treatments. I'm so glad that I have been following you as every woman and also man may learn a lot from you as far as beauty is concerned. Thank you always for sharing your valuable knowledge. It's also great you are involved in charity projects. Really SuzieQ, just when I think you can't possibly come up with more you do! Again, you have utilized your professional training and combined it with healthy, quality, natural, and cost effective ingredients...to paraphrase yourself. Voted up, usefu, awesome, and interesting. Shared too. Though I don't know much about facials I can see the effort you put in compiling this useful and immaculate information for the benefit of others. For this and the work you are doing to help the H.O.W movement in your own special way, I salute you. I am going to try the steam suggestion. I think it would be so relaxing to do this type of treatment. What kind of herbs would do best? Also, love that you included your thoughts connected to H.O.W. Hugs and blessings. No worries, bookmark them is a handy way of remembering, its what I do. Thanx, Suzie. I'll make note of the site. Lovely to see you, delighted you stopped by! Take note of this supplier mountainroseherbs.com as they stock EVERYTHING in my recipes with maybe the odd exception but they really do have fab stuff covering waxes, herbs, oils, containers, butters, hydrosols, salts, resins, teas and so much else! Prices are good and they always have specials like for example at the moment carrot seed essential oil featuring in my next hub (in a few of my recipes and a super oil to have) is 25% off for July. They do the flowers, clays, essential oils and mostly organic with some non organic ingredients. Amazon do most of my ingredients too. 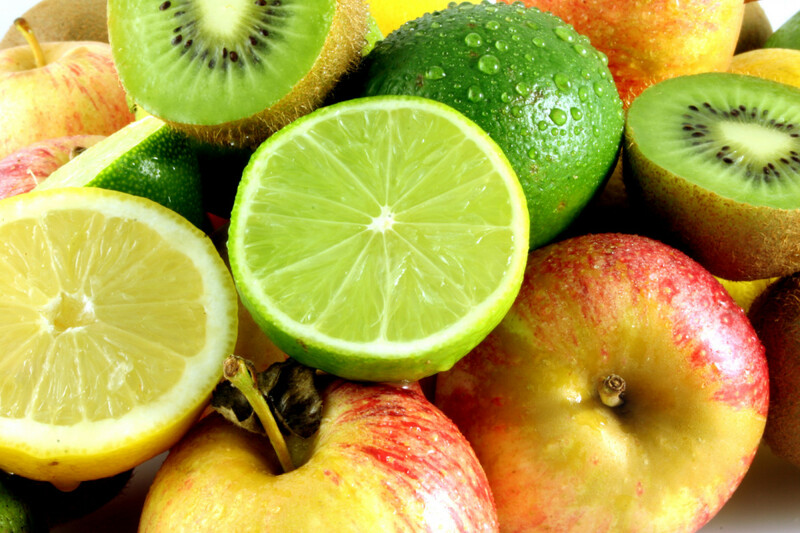 Good health stores are worth checking out as they will stock certain things. Hope this helps, mountainroseherbs have a huge following too and are highly recommended by many sites I have seen. They do great info too on all the ingredients and different sizes are available in most things. Thanks Sha again and hope that helps to make it easier! What an awesome hub! I am not sure where to start with the recipes. Thanks, Suzie! I love this kind of stuff but it has been years since I have been able to focus on anything like that. Voted up and shared. Many thanks for your visit and for telling me about your involvement in a group. It sounds a fabulous idea and what a great idea to have a yearlong plan of activities for young girls. Including these sort of recipes and some of the others would be perfect for young girls. Lip balm is a great one if you have access to a stove top. It is a product that does not take many ingredients especially with a group and girls love lip balm. Loved your idea and thank you so much for thinking of me and the homemade recipe idea. Appreciate your interest and enthusiasm as always! Suzi, where can the essential oils, dried flowers and clay be found? Your recipes are awesome but I wouldn't know where to buy the ingredients. Hi Susie, You are soooo knowledgeable. The group I belong to works with young girls and part of the yearlong activities is to have a spa night in one of the upscale hotels where they learn health and beauty tips that we hope will last a lifetime. (We have other intensive learning activities as well.) I will pass along some of these recipes to the activities Chair. These facial recipes will be a great way for them to learn about using natural ingredients for their beauty care. As always, a big thank you for sharing what you have learned over the years. Take care. Your hubs are incredible! Each a work of art, my friend. Your knowledge of skin and beauty regimens blows my mind..i used to be a soap and water kinda girl..
i do a full-body 'creaming' every morning with 'vaseline creamy' - and, i've done it for 25 years..lol..
now..i seem to be trying interesting new things...like pineapple and masques..
hmmmm...why might that be, Suzi Q?? i think it'd be a blast to get a REAL Suzi Q facial - when's the next time you're in my neck of the woods, ya know - MID-CANADA? Thanks so much for stopping by, your comments mean a great deal. 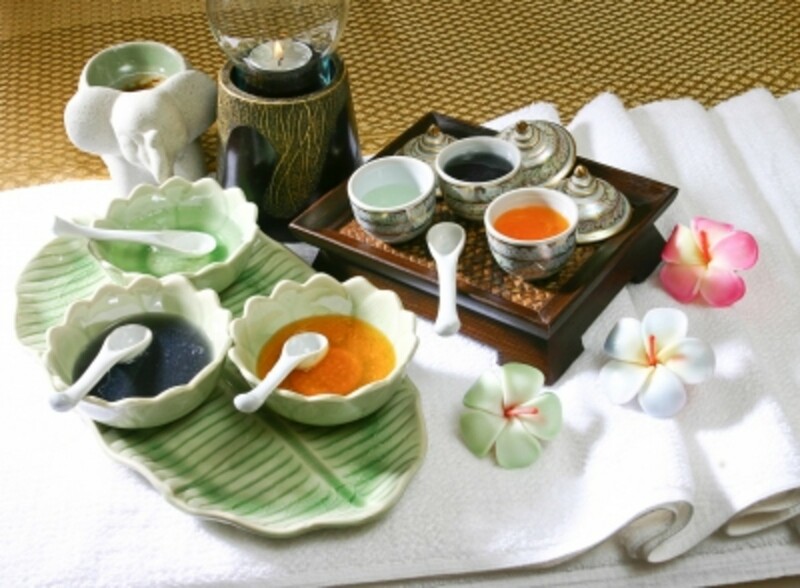 I hope you get to give a homemade version of a facial a go, i am sure you will love it!! Hi Suzie, just now voted up this hub as 'awesome' because it really is. As i read all these beautiful facial steps i can literally feel that i am being pampered, well that's the beauty of this post. Thanks so much for your votes, shares and pin - you are a true supporter and your interest and enthusiasm are a constant reminder that people are enjoying my work so really, thank you! I wish I could hop across the Irish Sea and give you a facial right now! I hope you do give this a go in favor of your monthly visit to the salon. I know how wonderfully pampered you can feel after a visit but you will still feel the benefits going the homemade route, especially when you get the help of a friend or partner to do the applications. Cheers so much for your lovely comments, much appreciated!! Thank you for your kind comment and if my knowledge is helpful and useful then job done! I always try to use my own thoughts, experiences and knowledge as I think it is important. So glad this was of interest and hopefully you will try it out sometime for yourself or others! Voted up pinned and shared. Beautiful and useful hub. I need a facial right now! Cheers for all the votes, shares and pin you are a great mate! Thanks for visiting and deciding to comment, I appreciate that greatly. You are too kind with your compliments and hopefully you will find this idea useful when you decide to pamper yourself, today or in the future. I certainly try and do good (most of the time!) at the end of the day we are not on this planet long and what is the point in being mean, selfish, uncaring or negative - wasted emotions in my opinion. Cheers again for all your enthusiasm! Lovely as always to see your comments! Glad you found interesting and hopefully you will try this facial out sometime! Thanks so much for your lovely comment. I believe in paying forward and we all have something we could utilize for the good of others if we think about it. i am not special just know the types of kindness that has been bestowed upon me in many different ways in many different countries over the years. Thanks again, appreciate it my friend and for your support in votes, shares and pin - you are doing it already! I am regular for a monthly facial in a salon. But your hub is inspiring me to try it out at home also. I am already feeling quite pampered. Thank you for your wonderfully informative and useful hubs. Take care and keep up the good work. Your natural remedies all sound so wonderful, Suzie! You have a huge amount of helpful knowledge. This is a detailed and very useful hub. The best part of all is the lovely and caring suggestion to help someone else by giving them a facial. I'm going to do the banana, egg and honey mask right now and will soon make up a batch of the natural exfoliant, too! What a handy thing to have around the house. You really have found your niche, Suzanne. It's been wonderful to see you blossom as a writer and come into your own. I plan to be the first in line to buy your DYI beauty treatments book! : ) I love the way you tied this Hub into the H.O.W., too. Have a wonderful weekend my friend. As always pinned, voted up and shared. I love these ideas! Definitely will be trying some. I might even give myself a rosemary facial steam tonight! Voted up and pinned. Thanks for sharing! It is Sunday and I was thinking of pampering myself with facials, manicure and pedicure, of course at home only. And your hub has provided me all the motivation I needed. My favorite is glycerine, rosewater, cucumber pulp and a few drops lemon juice. You are a lovely beautician with a beautiful heart, because those with a beautiful heart only can think of making others beautiful. Excellent suggestions for homemade facials. This is so nice, and I love your charity suggestions. How sweet! This is beautiful, Suzie. This is such a great pampering idea, and I love that every time you write an article, it builds up from other ones. Since you have written so many fabulous beauty hubs, you include them in the different sections of this one, and it is very handy to the readers. You're always great at adding pretty photos that relax me just by looking at them. 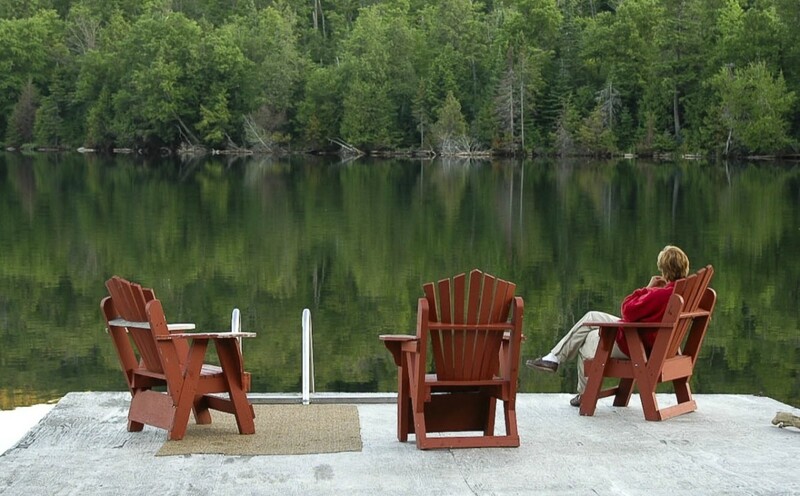 Thanks for sharing this with us, and I hope your weekend is going well. Suzie, I've never had a facial or a spa treatment but that doesn't matter. What you are doing in your community is a wonderful thing and says a lot about you as a person. You are taking what you know best and sharing it in a way that is helping to bring smiles to people's faces. I tip my hat to you. So good to see you and your comment was lovely to receive, thank you so much! Skin care has always been important to me and i love passing on any tips and info I have learnt over the years. If it helps others then I have done my job. Delighted you found this valuable, that means a great deal, thanks again my friend! Appreciate the thumbs up! A pleasure and it was harboring for sometime in my mind and how I could work it in to an appropriate hub. Delighted you approve and thanks for the lovely words. I believe in giving back, making a small difference, taking baby steps to improve awareness. Appreciate all your help and guidance your support and encouragement in my work. You rock Mr Holland! Have a great weekend with the lovely Bev, the 3 doggies and the chucks! This is awesome. I love going to the spa, even though I don't get to go as often as I wish! Facials definitely make a difference and how wonderful that your hub shows how to do it from home. Perfect. Thanks for posting! You are special....you know that, right? No funny business in this comment...just sincere thanks for caring enough about H.O.W., and humanity, to include this in your hub. It just shows what kind of person you are, and it also shows how simple acts like the ones you suggested can go a long way towards making life better for someone else.